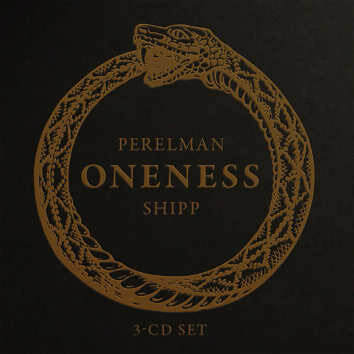 The Perelman-Shipp duo have recorded over 30 albums in each other’s company and with other artists and this is their ninth duo recording in addition. It was intended to be a single CD, the culmination of their work together, their final statement. They worked on this for a week but were unable to throw away any of their performances so released the whole lot as a single album – a single triple album in fact. That’s a bit of a relief really as Perelman has declared that the duo has no plans for any further albums, though there may be concerts. There are no hitches or glitches in the spontaneous outpourings from either musician, in exchanges or otherwise: their empathy shows that they are reading from the same page, almost with a singular mind, that unloads each strain without expending energy. They have refined and purified their methodology in music until it has become a single watercourse formed from two tributaries; it is now a singular act of intimate exchange. The music flows like underground magma, occasionally venting in jets of altissimo register saxophone, bolstered by pyroclastic chord sets, elaborate and spectacular. It may also take flight in the cosmos, yet understands the value of quietude, of coming softly to rest. Though it may be sentimental, serene and surreal, it may also seem agitated, edgy and offensive. I have elected not to single out individual tracks for analysis – that technique often proposes that the chosen tracks are better than others and it clearly is not true in this instance. One thing I will say though – do try to listen through in sequence, even if you don’t bite and chew the whole in one sitting. It is after all a body of work, not a volume of short stories. The duo plays on a pre-eminent plane, but not with any affectation and although it is a personal rather than a private language, the listener will not be lost for words to understand. Brilliant musicians indeed, they seem to suggest that they have come to the end. It is not true that all good things must come to an end. I simply cannot believe that it is all over.